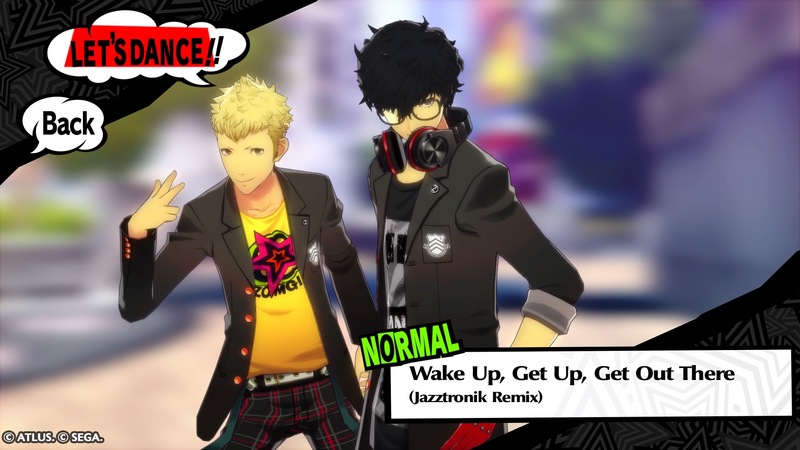 Rather than follow Persona 4: Dancing All Night with a release covering the music of another mainline release in the franchise, Atlus instead opted to make titles for two games simultaneously: Persona 3: Dancing in Moonlight and Persona 5: Dancing in Starlight. What’s more, the games expand from Vita-only origins to PS4 releases that still make one last cameo on the handheld. It’s an ambitious sort of plan, one that seeks to disappoint fewer by pursuing as many possibilities as it can. These releases put the rhythm first, with narrative sequences unlockable through play much like songs and costumes as a bonus for players who want to see them. Players of the previous game will find that the focus of these releases has changed somewhat. 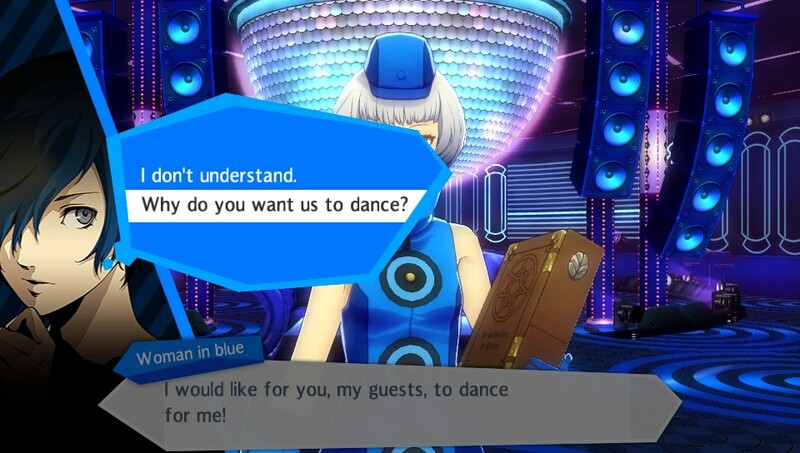 Persona 4: Dancing All Night had an elaborate story mode built around the dancing, giving this activity a context that, while still weird, had some internal narrative logic. You played the songs to progress the tale. These new releases put the rhythm first, with narrative sequences unlockable through play. They’re treated just like additional songs and costumes, offered as a bonus for players who want to see them. While there is something of a progression and overall plot here, it’s definitely secondary and seems like it was done to still deliver character interactions while allowing the team to stretch its development budget to cover both of these games at once. 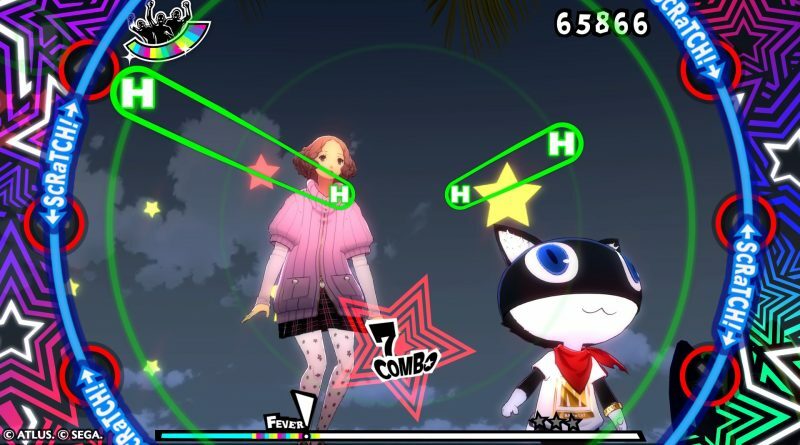 Like in the first Persona Dancing game, you’re tasked with hitting buttons and flicking analog sticks as various types of notes scroll from the center of the screen to its edges. The note charts have been refined a bit, and you can tell that the developers have a bit more experience crafting these patterns and knowing what works best with the format. Its move to a larger screen does no favors for this setup. 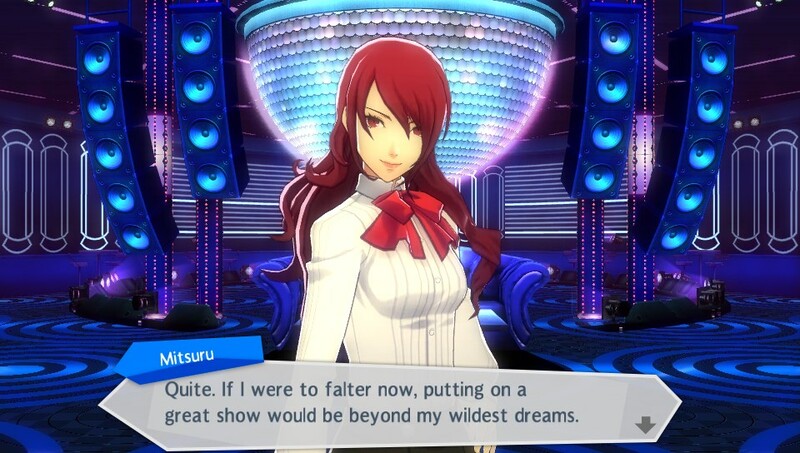 If you play near a large TV, as many do on PS4, it’s a real test of your peripheral vision to keep up with these notes, much less have any sort of chance to enjoy the Persona characters grooving about behind them. You can get used to it (and, well, move farther away), but as a result, the game’s still much more comfortable and ideal on the Vita than it is on the more popular home system. 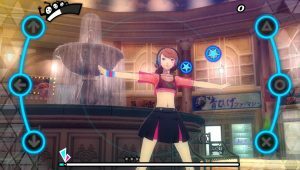 There’s little about the game that the aging portable can’t handle admirably, so if you’d like a proper send-off for it, Persona Dancing could be a fitting choice. The PS4 version does have an exclusive VR function, but it’s a barebones model viewer and there’s not really much to it. On either screen, the presentation is just as stylish and cool as you’d expect from Persona. As the point is to enjoy the cool looks and tunes of the franchise, this should be a given, but the team manages to deliver this consistently and it’s laudable. These aesthetics are built over the same framework, and if you play both at once (as this simultaneous, often-bundled release seems to intend), it’s noticeable how much of this work is recycled. It’s a bit disappointing that more couldn’t be done to differentiate the structure of these games, to give each a different flavor outside of the tracks and unlockable conversations. 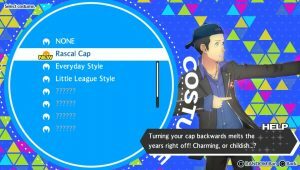 If you’d like a proper send-off for the Vita, Persona Dancing could be a fitting choice. There’s definitely an appeal to spending more time with these characters, as Atlus has long shown in its spinoffs. 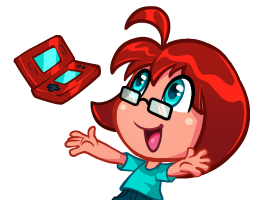 Core Persona games thrive on the mundane interactions, just hanging out with your longtime pals for dozens of hours between whatever gameplay the particular entry offers. Both versions offer a unique spin on this appeal. 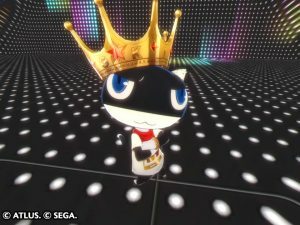 For Persona 5, it’s a relatively fresh release that hasn’t seen too many opportunities to do this sort of thing. Persona 3 has, much like 4, seen many, many spinoff appearances, but so far after its first release, a game like this dedicated to just its cast is probably the last opportunity to revisit these characters by themselves and explore their stories. 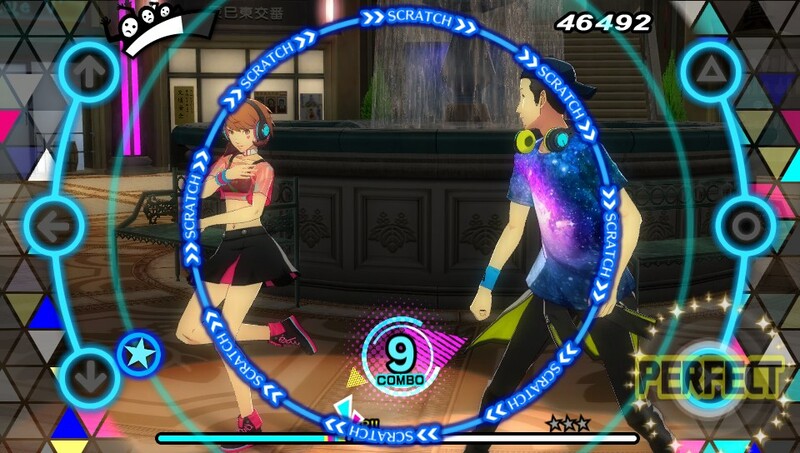 It should be noted that the Endless Night Collection, in addition to these two games, exclusively includes a PS4 release for Persona 4: Dancing All Night. While that game didn’t get reworked and the interface feels a bit strange and big on a TV screen, its extra narrative focus still makes it shine just a bit above these other two, and our praise for that game remains on this new platform. If you’re looking for an excuse to listen to fantastic Persona soundtracks again and maybe have another conversation or two with the casts of characters, these two releases could be right for you. They’re not the complete experience that the Persona 4 edition managed, but they offer some fun song lists in slick-looking packages.